Greenville Technical College invites the community and members of its student body to a once-in-a-lifetime educational tour to Costa Rica March 15-23, 2019, during the college’s Spring Break. Ranked one of the happiest nations on earth, the “Rich Coast” is home to the famous cloud forest, active volcanos, and a wealth of biodiversity. Faculty from the college’s Culinary Institute of the Carolinas will lead visits to an organic cocoa plantation, a spice farm and a working coffee farm. 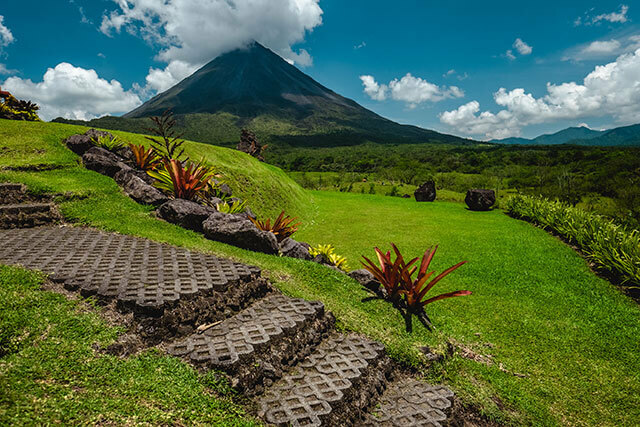 Additional activities include a lava trail hike up the Arenal Volcano, a night walk through an ecological sanctuary to view nocturnal nightlife, and a hands-on cooking class at the Monteverde Cloud Forest Biological Reserve to experience traditional Coast Rican cuisine. Academic students will able to earn transferable elective credit in either a humanities or Culinary Arts special topic courses (HOS 299 or HUS 260). Travelers must be 18 years of age or older. These sessions will cover tour itinerary, cost and payment options as well as requirements that must be met prior to registration. To sign up for an info session, visit https://GTC-CostaRicaInfo.eventbrite.com. The educational tour is sponsored by the Greenville Technical College Personal and Professional Enrichment Department and the GTC International Education Department. For more tour details, visit www.gvltec.edu/Costa-Rica/.